Travelling gantry crane provides an economical way to handle materials in your facility as well as many outdoor workplaces. This robust gantry lifting equipment is also regarded as a highly efficient solution for areas of frequent and heavy lifts. 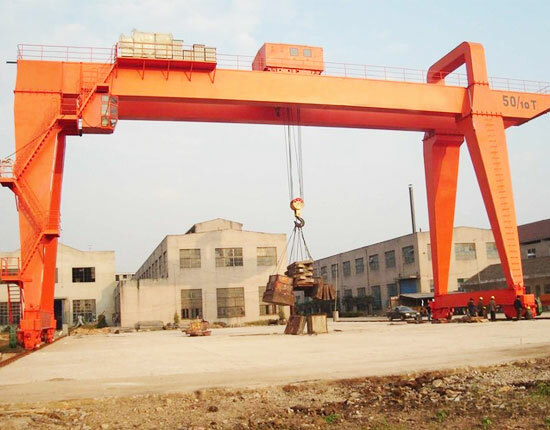 Besides, the heavy duty design and sturdy construction of our gantry crane provide steady and smooth lifting movement. 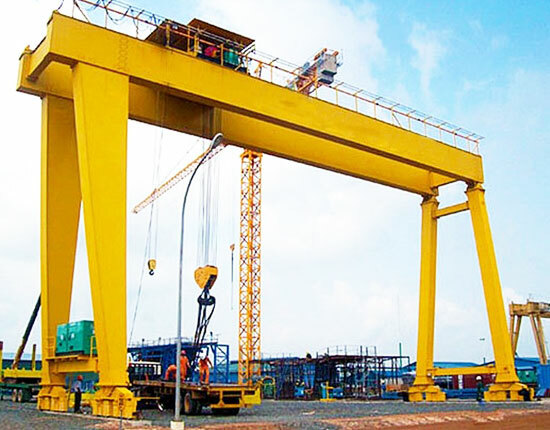 In terms of lifting capacity, our travelling gantry cranes are available in multiple models, such as 5t gantry crane, 10 ton crane, 20 ton crane, 30 ton crane, 50 ton crane and 100 ton crane for you to choose from. With regard to girder construction, the gantry cranes come with two main configurations, including single girder and double girder crane. To know more about a specific type of travelling crane, contact us online for advice. By employing this powerful machine, the production efficiency of your plants has been greatly improved. The electric gantry crane is also a cost-effective substitute to overhead crane as it is mounted on ground level rails or runs on rubber tires instead of overhead runway beam. The gantry crane manufactured by our factory is capable of lifting a large amount of weight, ranging from 1 ton to several hundreds of tons. To serve your heavier lifting needs or special lifting requirements, our gantry crane lifting equipment can be custom designed and built. Our travelling gantry crane is found many uses in varied fields and sectors, thus it can serve almost all lifting needs of customers. The traveling crane also makes your lifting movement safe and reliable. 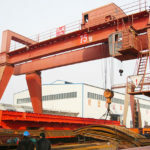 The gantry cranes can be designed and made into numerous types and sizes for different purposes. It is widely used in construction site, shipyard, container terminals, workshop of manufacturing and assembly lines and port. 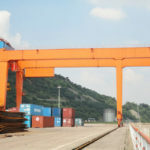 The gantry crane is basically equipped with a hoist attached to a trolley, enabling you to lower and raise heavy loads as well as move them along gantry crane beam. 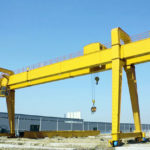 Our travelling gantry crane falls in several main types, and covers a wide range of applications. It is a light duty configuration for your gantry crane, suitable for handling small and medium sized materials. The single girder traveling gantry crane can be applied in areas of lightweight or infrequent lifting jobs. The lifting capacity is usually not more than 50 ton. Double girder traveling gantry crane is ideal for your heavy duty or frequent lifting operations, allowing you to handle a large amount of weight, such as 50 ton, 70 ton, 100 ton and beyond. The double girder crane can also reach a greater lifting speed and higher efficiency compared with single girder crane. The rail mounted gantry crane, as the name suggests, is fixed on parallel ground level rails. It is extensively used in quay, port, shipyard and railroad terminals to accelerate the operations and increase productivity. 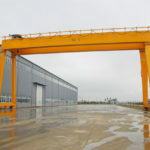 For example, the gantry crane employed in shipyards can lift and transport different sections of ship hulls, which will then be joined together to form the hull. 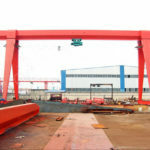 With the help of gantry lifting equipment, the ship building process will save much manpower and time. The rubber tyred gantry crane is attached to rubber tires, making it mobile and easy to operate on the ground. 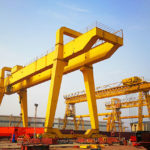 This type of crane can lift and move loads almost anywhere within the working area, widely applied in container terminals to lift, transfer and stack containers. 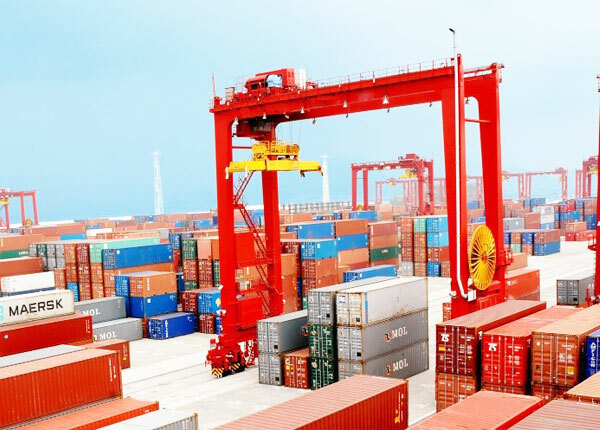 In addition, there are some other types of travelling gantry cranes available for your uses, such as semi gantry crane, truss gantry crane, cantilever gantry crane, A frame gantry crane, U frame gantry crane and portable gantry crane. Contact us now for more details. 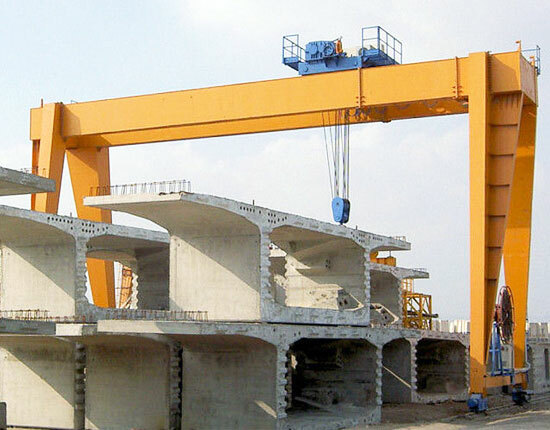 Gantry crane, regardless of different types and sizes, is generally the same in structure. It is mainly composed of gantry frame, hoist trolley, crane running mechanism and electric control system. Gantry frame constitutes the main component of the crane, which also serves as the main load-bearing member. It consists of main beam, end beam, supporting legs and end carriages. With respect to different materials to be handled, there are various types of supporting legs for your choice. 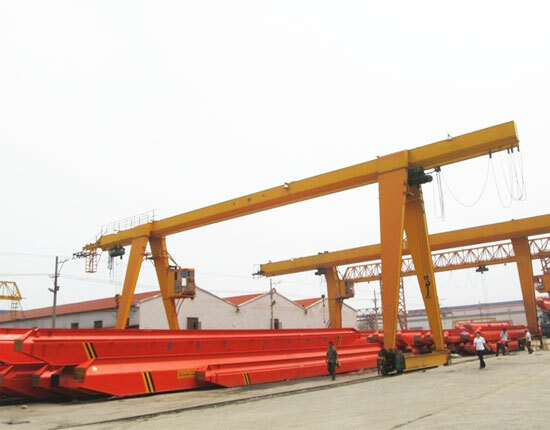 For instance, U frame double girder gantry crane is ideal for lifting large cargoes, such as containers, and L-shaped gantry crane is especially used to handle long items. As the most fundamental part of the equipment, hoist trolley plays the role of raising and lowering loads as well as traveling horizontally along crane beam. The hoist mainly consists of steel drum and coils of wire rope, driven by electric motor. The trolley is usually underhung on a beam of single girder crane or suspended between two beams of double girder gantry crane. According to the crane running mechanism, the travelling gantry crane can be divided into rail mounted and rubber tyred gantry crane. The steel rails of rail mounted gantry crane is made of different lengths of cast iron and fixed by high tensile bolts and nuts. For rubber tired gantry crane, two of the wheels will be driven by electric motor to steer the equipment, and the other two can run freely. With regard to work duty, working environment and ease of use, there are several operation methods, including pendant control, wireless remote control and cabin control. The cabin is usually attached to one end of crane beams and offers wide vision to the crane operator. The cabin control more often works with heavy duty crane to maneuver large and heavy cargoes. Wireless remote control is a cost-effective option for light duty gantry crane and also a safe way to carry out lifting tasks. 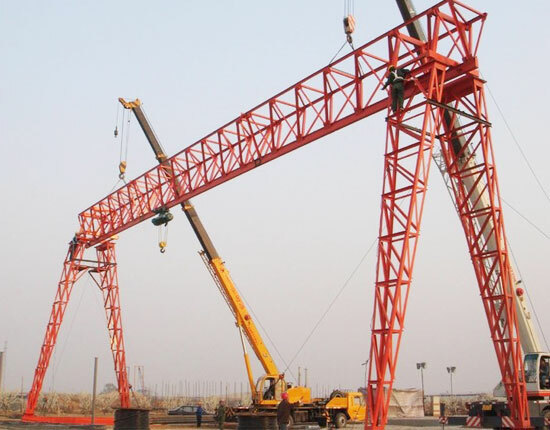 We provides a variety of travelling gantry cranes with top quality and durable performance. 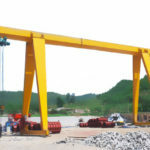 As a seasoned gantry crane manufacturer in China, we will help customers make the smartest purchase choice and design economical lifting solutions for them. 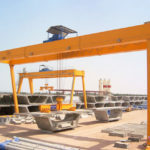 In addition to crane design and fabrication, we offer other gantry crane services to client, including installation, inspection and maintenance. 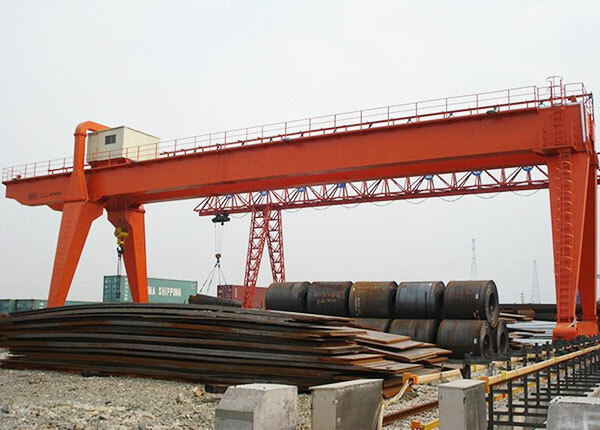 To know more about travelling gantry crane, contact us online directly.